Safety is not a snapshot – it is an ongoing process. VETRANS reviews these elements of the SAFER and SMS databases for established carrier partners on a regular basis. VETRANS is committed to exceeding the insurance requirements of our industry (government and customers). 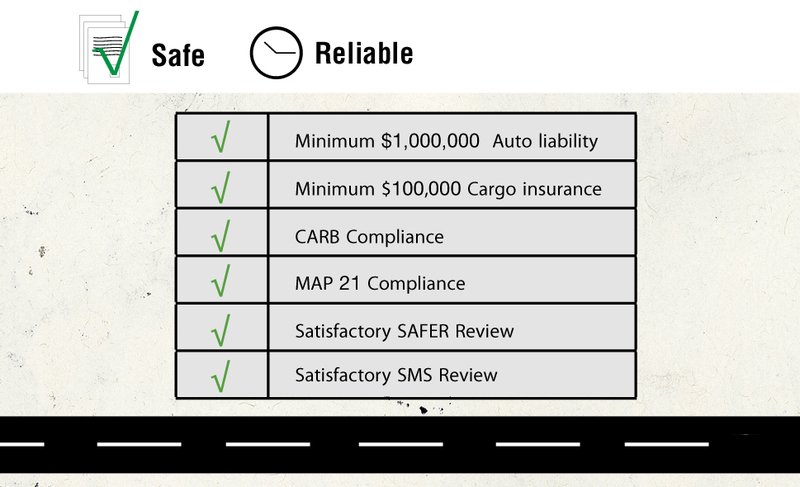 Carrier partners are required to maintain minimums of $1,000,000 auto liability and $100,000 cargo insurance policies. Higher coverage requirements are strictly enforced as required. VETRANS must be named as a certificate holder on these policies. Insurance coverage for established carrier partners is verified on a regular basis. VETRANS carries contingent auto liability and cargo insurance in the same increments outlined above. As this coverage is subordinate to that of our carriers, we cannot name shippers as Additionally Insured. 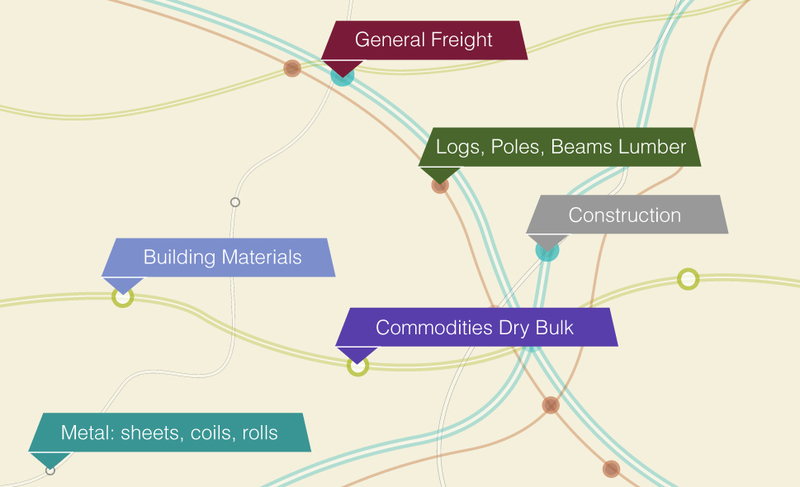 However, we can add shippers as certificate holders. VETRANS contractually requires every carrier partner to meet all federal, state, and local regulatory requirements. 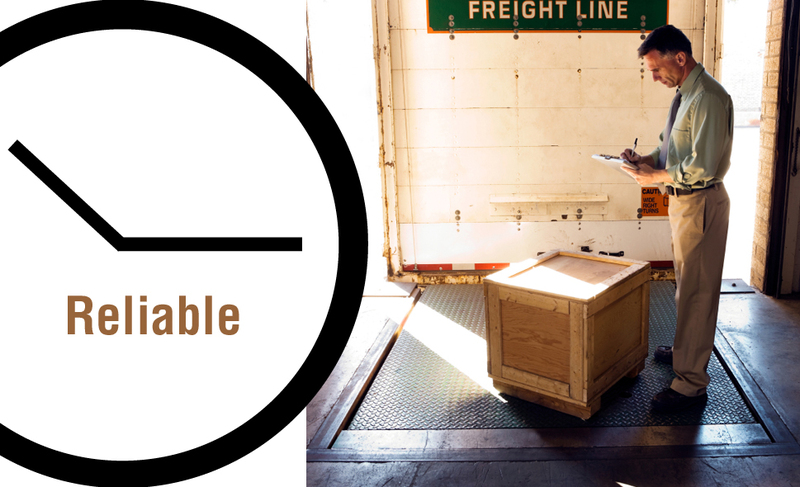 Carrier responsibilities for hazardous materials, load protection, claims, independent contractor status, and worker’s compensation are specifically defined. California Air Resources Board (CARB) compliance is reviewed and documented for each shipment to or through California. VETRANS posted its $75,000 broker bond on October 1, 2013 in compliance with MAP-21 requirements. VETRANS is EDI capable. We also run the proprietary systems of a number of our customers. Many of our customers provide carrier/vendor scorecards, and VETRANS receives high marks from every customer documenting performance in this way.